Next post: June Coming Attractions: It’s Summer! 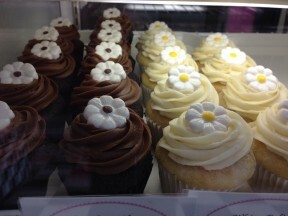 When I was just a girl, the cupcake was reserved for birthday parties and special occasions. How many times did I daydream of eating a chocolate cupcake piled high with frosting and sprinkles only to rouse to the reality that I wouldn’t be seeing a cupcake until the next friend’s party. 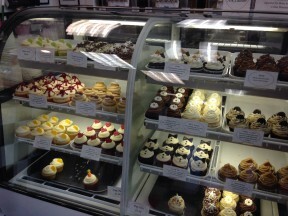 I can remember wondering anxiously on the way to a birthday if there would be cake or cupcakes. Would they have chocolate or vanilla? Hopefully, the gods would look on me and smile and there would be both. And hopefully the mom wasn’t pushing a carrot cake instead. Nowadays you don’t need a special occasion to have cupcakes. You need only money and a temporary lack of will power. And these are not the cupcakes from your childhood. The cupcake has been elevated to a kind of couture cuisine. It comes in a delicious array of flavors, is filled with delectable surprises and is perfectly coiffed with all manner of frosting and jaunty little edible adornments. 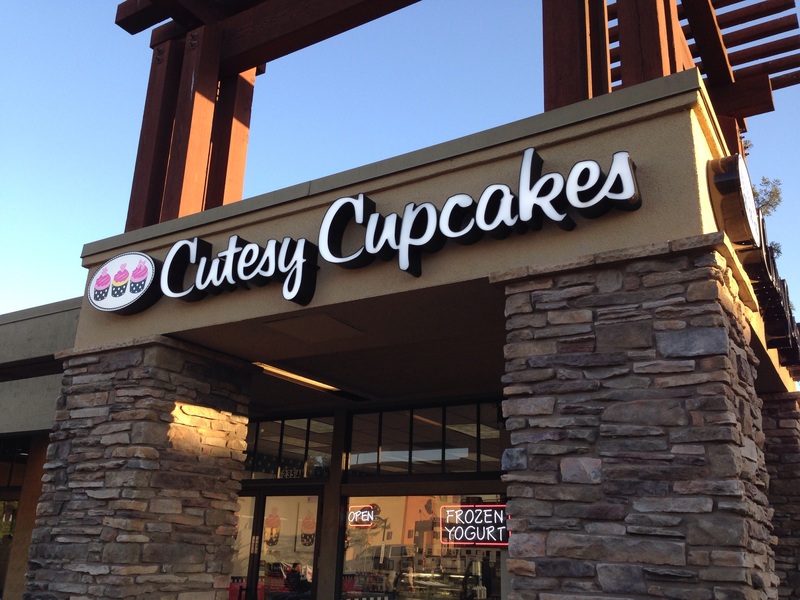 Cutesy Cupcakes is one such shop. It is owned by three generations: mother, daughter, and granddaughter (Janeen, Jeanette, and Lacey). 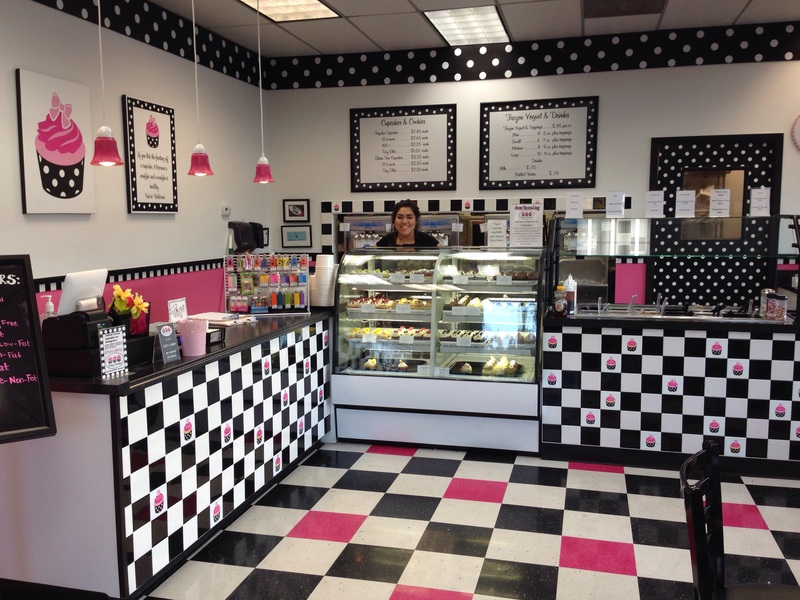 It all began for them in 2011 when Jeanette and Lacey attended the culinary program at the local community college and had the wonderful idea for a family business that they could build out of their mutual love of sweets. 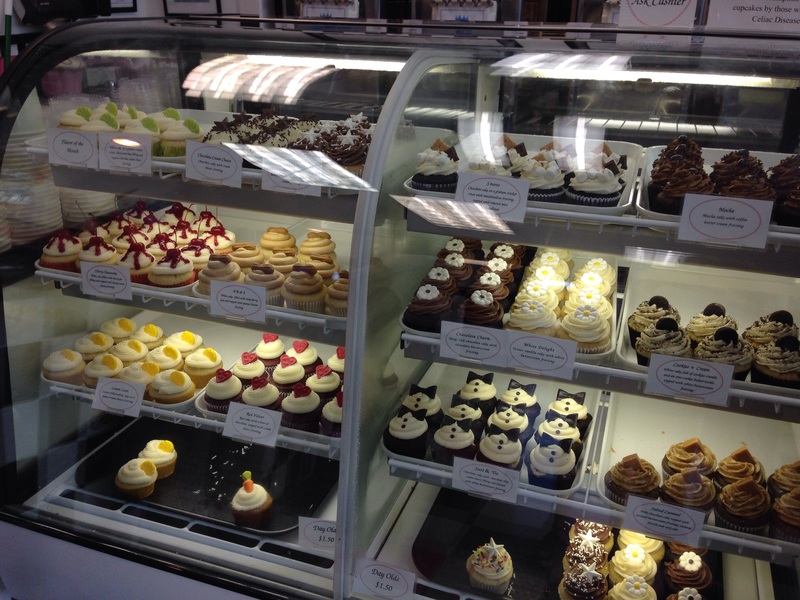 The business began in their kitchen making cupcakes for weddings using only a toaster oven. The cupcake tins were sawed in half so they would fit. They would bake through the night in order to meet their quota. They then moved to a commercial oven and began taking internet orders and joined the mobile food service in San Jose. 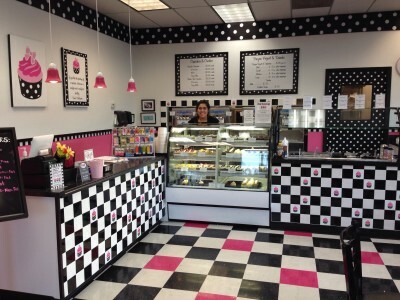 In December of 2012, they opened their first shop. Cutesy Cupcakes is located at 235 Mount Hermon Rd, Scotts Valley, CA 95066. I am a chocolate lover. 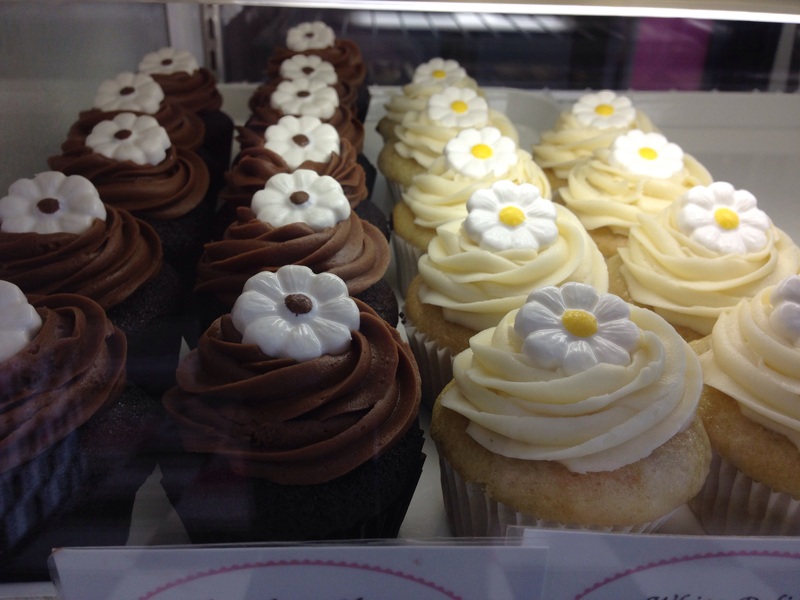 When I checked out the cupcake flavors list, I was pleased to find several chocolate ones. And they offer gluten free ones! Yay! !